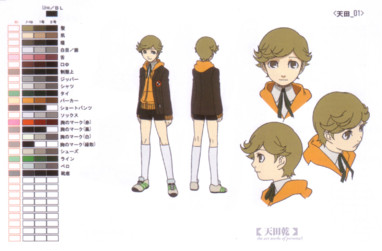 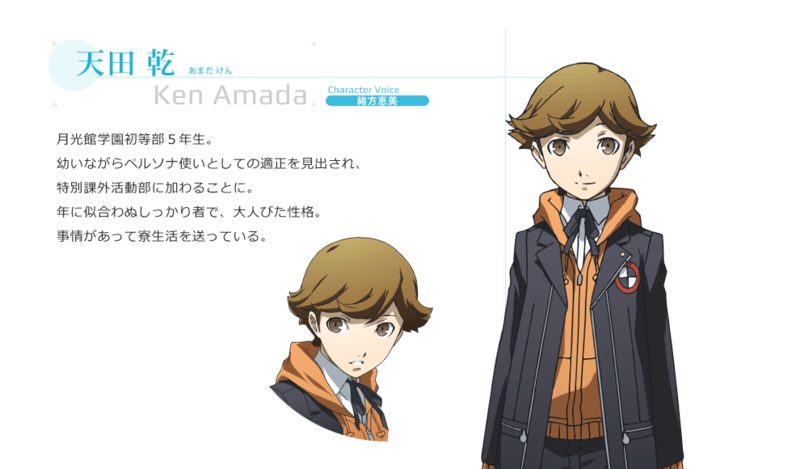 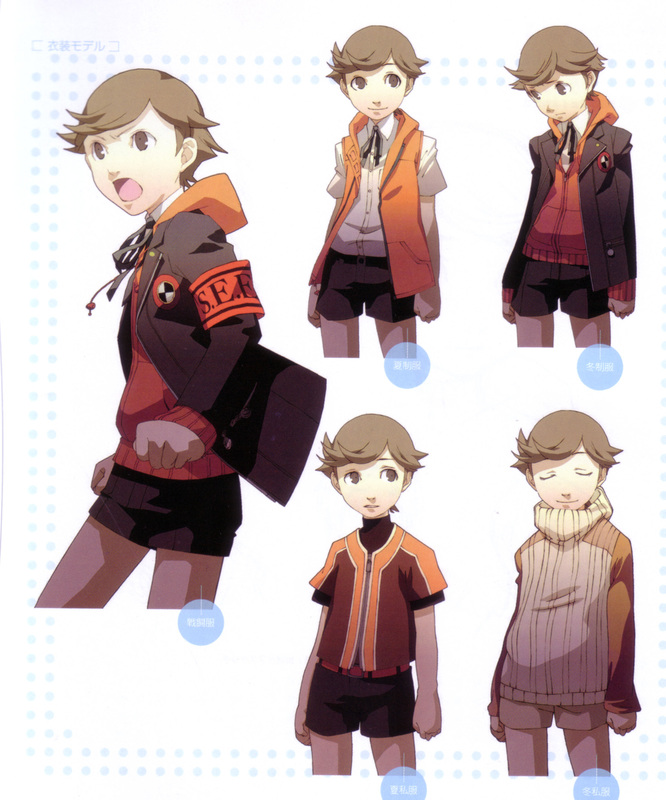 Ken Amada first appeared as a playable character in Persona 3. 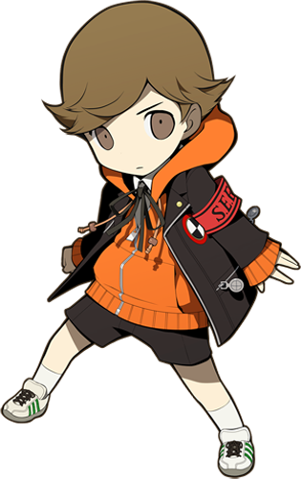 He is the youngest member of S.E.E.S, and one of the two who doesn't attend Gekkoukan High School until he attends its middle school branch in Persona 4 Arena Ultimax two years later. 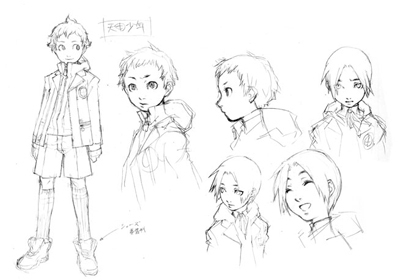 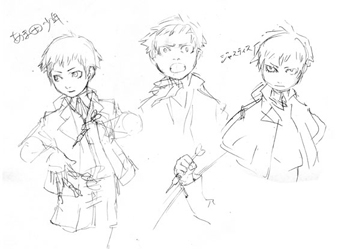 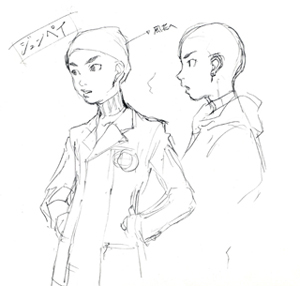 In his first appearance (Persona 3), Ken is an elementary student and rather short for his age. 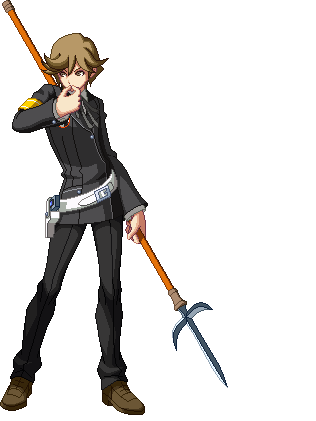 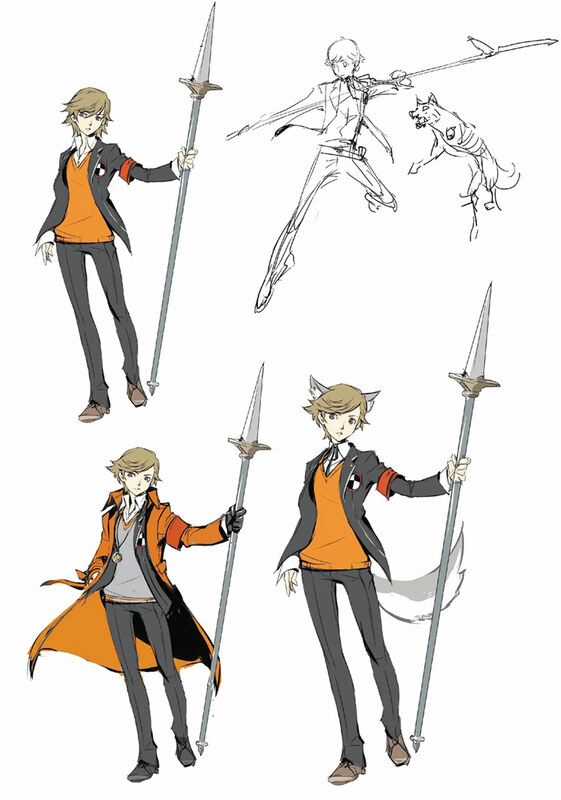 In Persona 4 Arena Ultimax, Ken is 13 years old and has grown considerably taller. 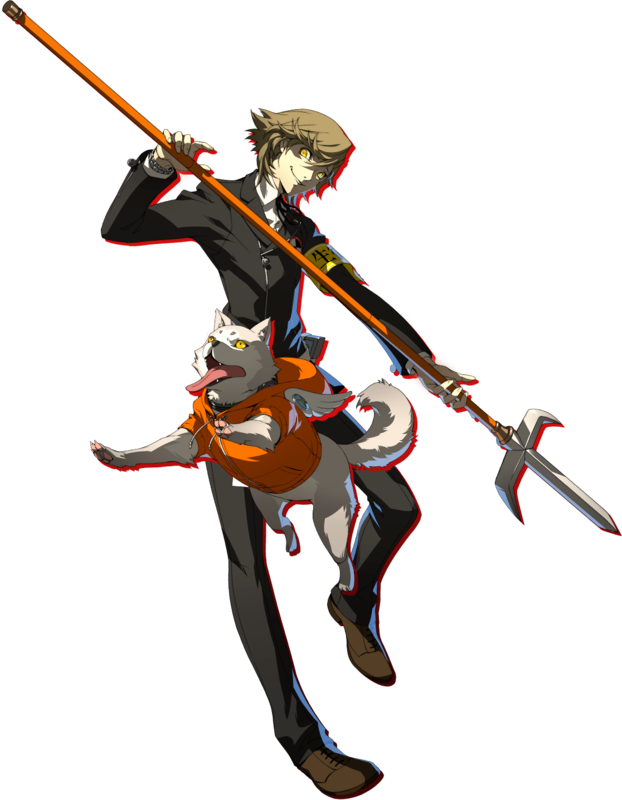 In Persona 4 Arena: Ultimax, Ken fights with Koromaru as his partner. 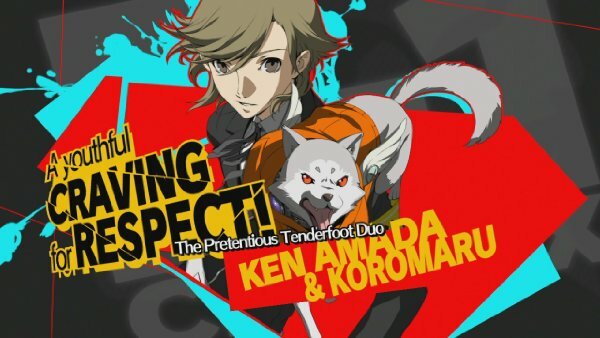 Despite his young age, Ken is very intelligent and mature. 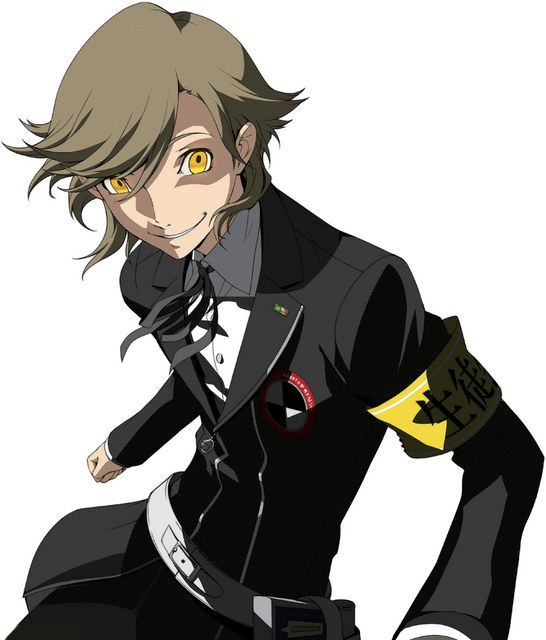 He is honest, diligent, and deeply caring towards his peers, particularly the members of S.E.E.S.. 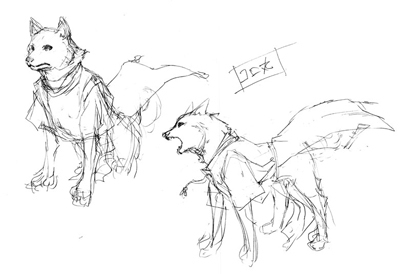 He is very polite to others, and never misses a chance to show respect where respect is due. 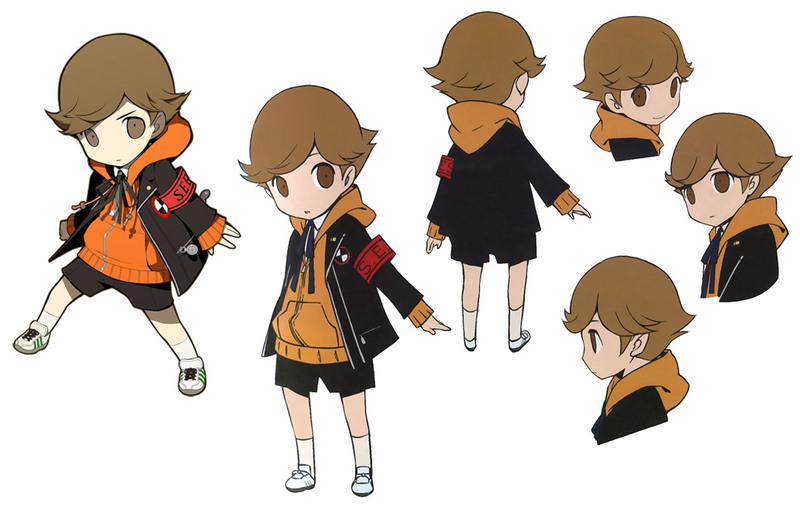 He has a strong dislike towards milk, but he forces himself to drink it so he can become taller. 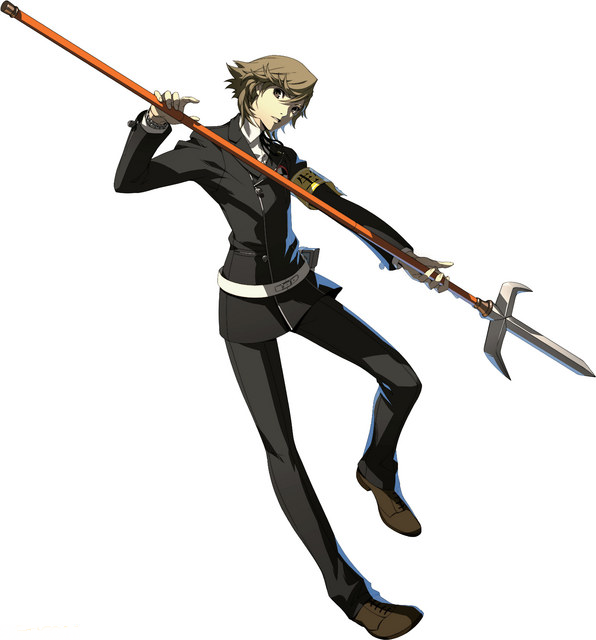 Ken notes that one of the reasons he uses spears in battle is so that he'll be on even ground with an adult. 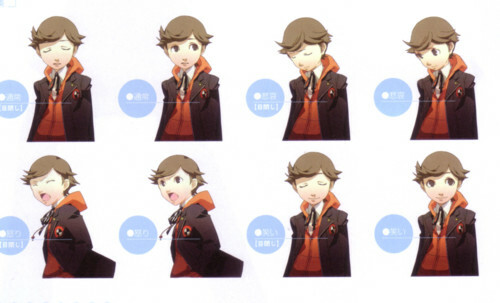 Although Ken is very mature, he still has several qualities that fit with his age. 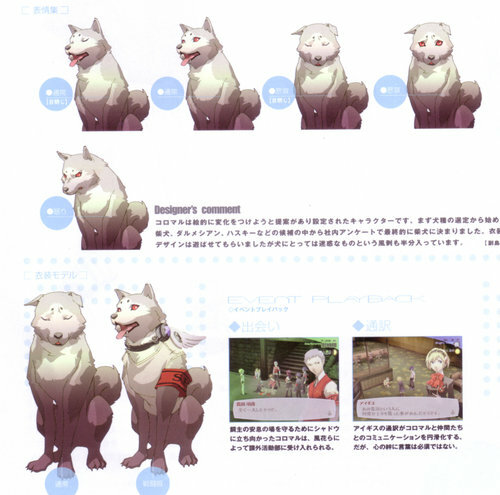 He finds a role-model in Akihiko Sanada, whom he admires for his boxing and fighting talents, often referring to him as "Sanada-san" as a form of respect to his senpai. 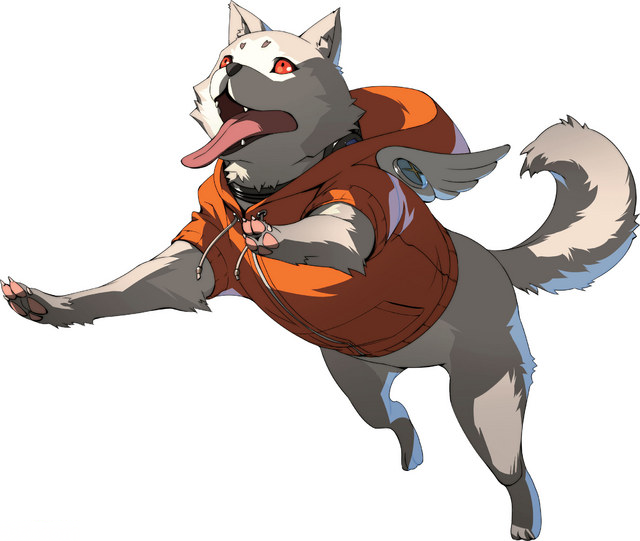 He also likes to watch a children's show, Phoenix Rangers, on Sundays. 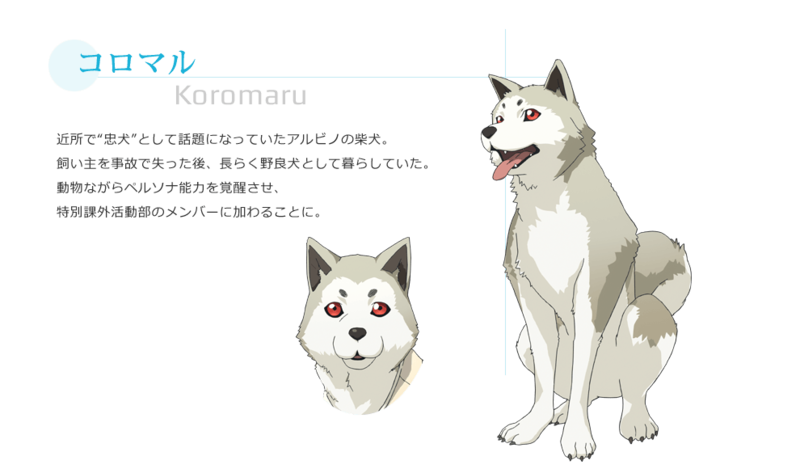 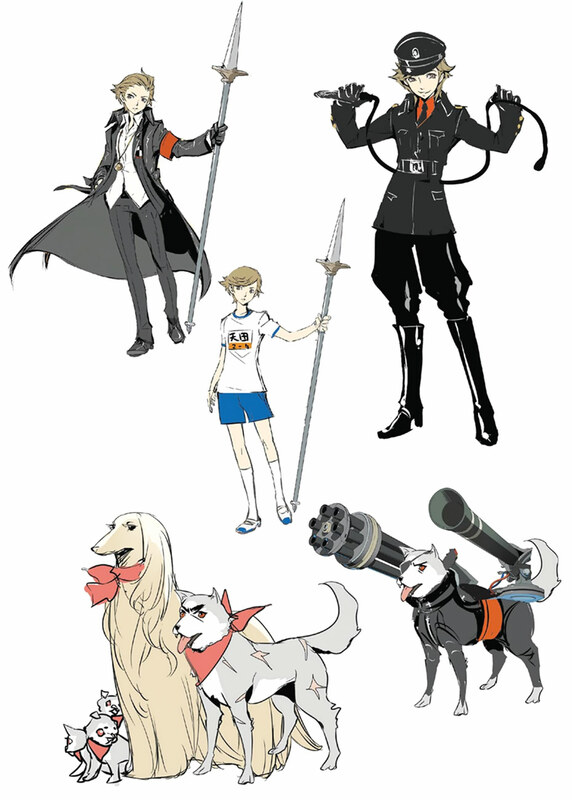 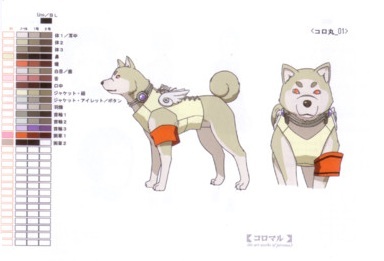 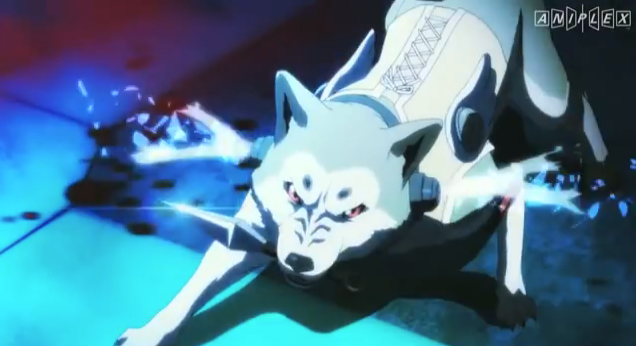 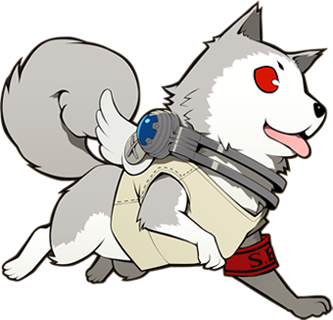 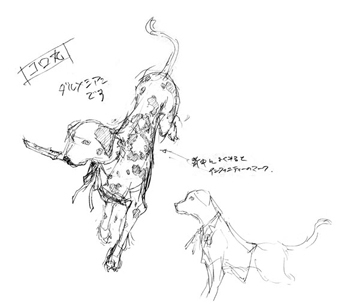 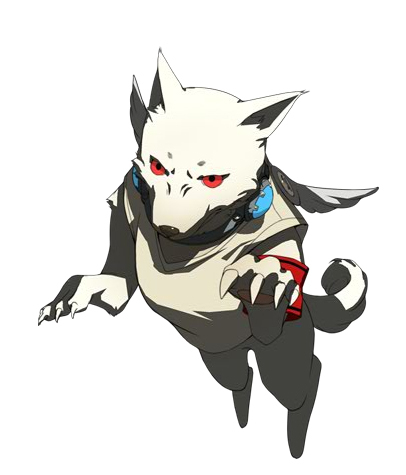 Koromaru also made his first appearance as a playable character in Persona 3. 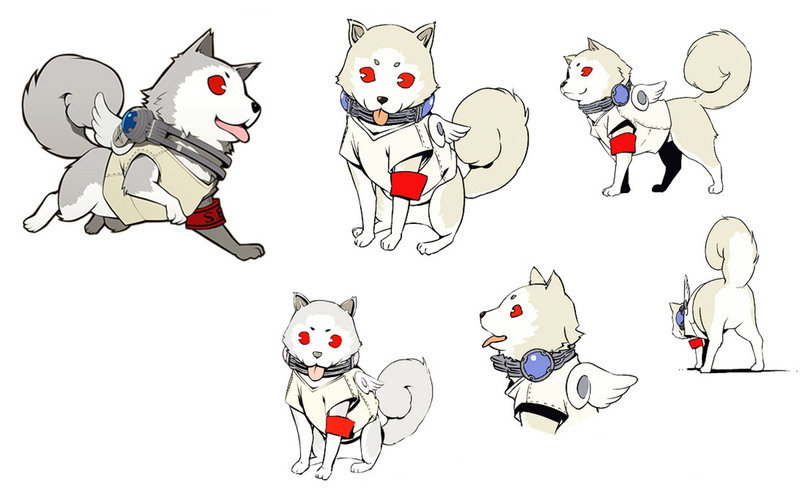 Koromaru is a white Shiba Inu and has red eyes. 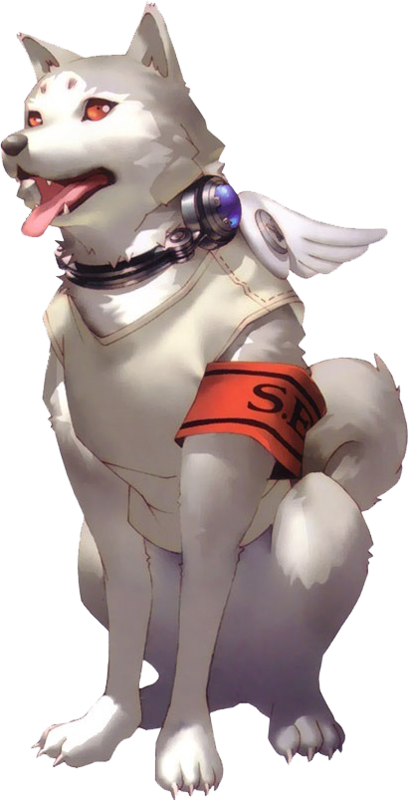 When he joined S.E.E.S, he was given a special Evoker for dogs, a metallic collar around his neck. 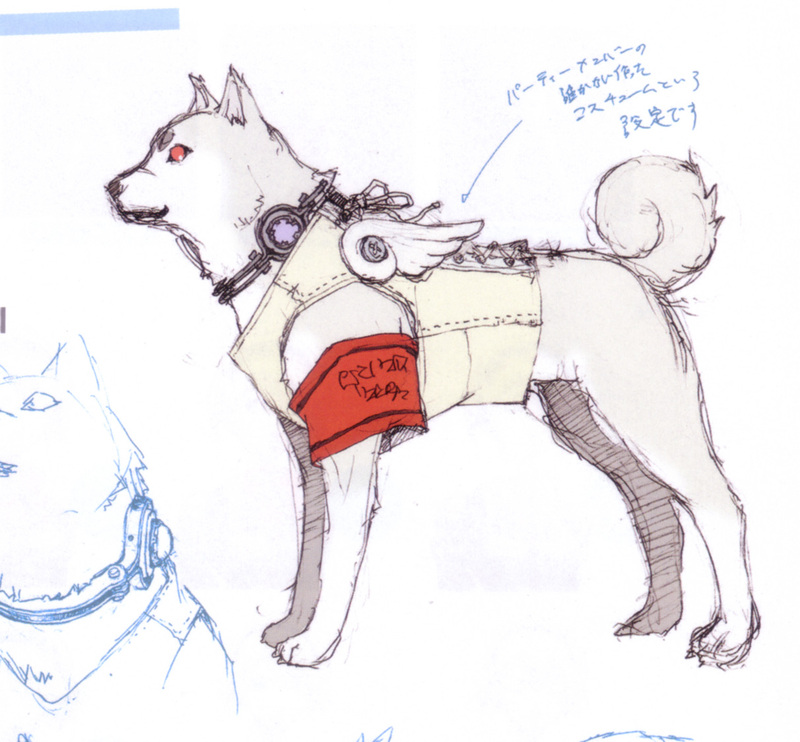 He has a red armband on his left arm, a miniature, white T-Shirt, and very small angel-esque wings on his back. 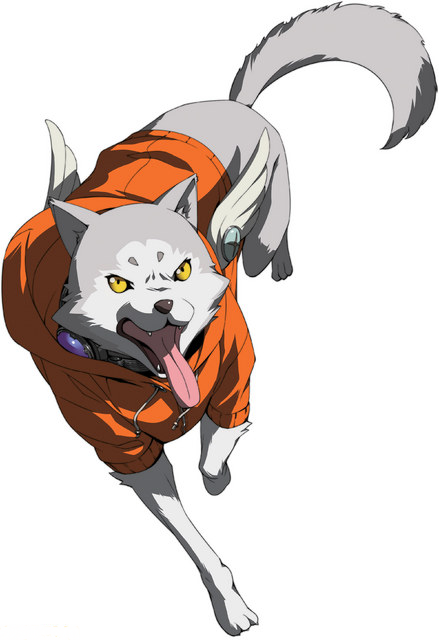 In Persona 4 Arena Ultimax, Koromaru continues wearing his customized Evoker collar and wings, but also wears the orange jacket that Ken wore during the events of Persona 3 instead of a white shirt.